The 2018-2021 FCIL-SIS Strategic Planning Committee Members were: Paul Moorman, Chair (University of Southern California Law Library), Thomas Mills, Ex Officio (Notre Dame Law Library), Kristina Alayan (Georgetown Law Library), Caitlin Hunter (Loyola Los Angeles Law Library), Loren Turner (University of Minnesota Law Library), and Michael McArthur (Duke Law Library). The 2018-2021 FCIL-SIS Strategic Planning Committee (“SPC”) gratefully acknowledges the contributions and hard work of earlier Strategic Planning Committees, the FCIL-SIS Executive Committee, and FCIL-SIS members in this important planning process. SPC was pleased to see that a number of goals from previous strategic plans have been accomplished. After careful consideration, SPC has identified the following three goals for 2018-2021 FCIL-SIS Strategic Plan in order of priority. Webinar proposals should follow AALL’s eLearning guidelines. To broaden the audience, webinar proposals should include speakers from outside academia, especially those who work in firms and government agencies and who use FCIL research tools in their work. Working with other SISs, in particular PLLIP-SIS, to jointly develop programs. Scheduling a program after the annual meeting to avoid conflict with other pre-conference programs. Hosting the program at a law school independently from AALL and investigating sponsorships to help alleviate costs. Possible topics for the program include teaching FCIL research or researching foreign and/or civil law. Assign a committee or task force to work with the FCIL-SIS Webmaster and other interested groups, committees, and individuals to review the FCIL-SIS website for content that may be out-of-date and draft an updating schedule for content that needs regular updating that all interested parties deem feasible and appropriate. The Committee gratefully acknowledges the contributions and hard work of earlier Strategic Planning Committees and the involvement of FCIL-SIS members in this important planning process. The 2014-2017 FCIL-SIS Strategic Planning Committee (SPC; “current SPC”) was pleased to see that a number of goals from previous Strategic Plans, particularly regarding the FCIL-SIS website, have been met. Therefore, the current SPC decided to focus on one issue, which in turn generated three goals for the current 2014-2017 strategic plan triennium. Issue: Since the 2008/2009 economic downturn, law librarians across the profession have been dealing with fewer resources, combined with higher workloads, and increased demand for FCIL services. The promotion of webinars as a means of Continuing Law Librarian Education (CLLE) for all members of AALL. The three goals are discussed in more detail, below. The members of the SPC will remain active during the 2014-2017 triennium in order to assist with implementation of these goals. The repercussions of the post-2008 economic downturn show that even the largest law libraries are no longer able to collect as broadly or deeply as they once did. In addition, most law libraries have fewer staff, with positions remaining unfilled for lengthy periods, if not having been eliminated. Nonetheless, the needs for FCIL materials and specialized reference services have grown. In fact, law schools have increased the importance and number of course offerings on FCIL-related topics. Thus, fewer law librarians have fewer resources to deal with increasing FCIL needs. Previously this data was collected via surveys and was housed in different areas of the FCIL-SIS website or not at all. Now, however, the current SPC proposes to bring together existing resources and collect new information by: 1) gathering what is available from webpages; 2) following up by directly contacting libraries for missing information; and, 3) creating the portal itself, which would display some information and point to other information. SPC hopes to attract portal users who will feel invested in seeing that the portal is updated and maintained. In the past, AALL has held institutes devoted to FCIL topics. The last of these institutes was held in the 1990s. Since then, a new generation of law librarians has joined the profession and the information landscape has undergone profound changes, especially in terms of foreign and international law. Each year there are FCIL programs at the annual AALL conference; however, time and opportunities for FCIL programming are limited by other competing activities. FCIL Education Summit held in conjunction with the Private Law Libraries (PLL) pre- conference at the AALL venue. (PLL has been contacted about this option and is interested in discussing the issue once the 2014 Annual Meeting is completed). FCIL Education Summit held independently of the PLL pre-conference at the AALL venue. FCIL Education Summit hosted by a Chicago area law school before the AALL Annual Meeting. FCIL Education Summit held at a place and time other than the AALL Annual Meeting. The cost to participants (in addition to the cost of attending the AALL Annual Meeting). What price should attendees be charged? What costs would be covered for presenters? What other costs might there be in addition to venue, materials, food, etc.? 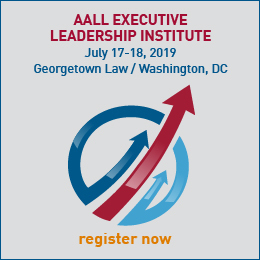 AALL does not allow an SIS to get sponsors for pre-conferences, so would all expenses have to be covered by the pre- conference education summit registration fees? The possibility of participants joining remotely through a resource like Webex. Would online participants be charged a reduced fee to the education summit? Should the pre-conference education summit presentations be recorded and made available for viewing after a period of time? What topics might be covered at the education summit? Possible topics might include the finer points of teaching, such as how to write exercises or exams. Or, substance-related issues might be covered, like finding the best sources for draft legislation in selected large non-English- speaking jurisdictions. These are just two of many possibilities. Who would be available to present on specific topics? In addition, should a presenter be able to give a presentation remotely via a resource such as Webex? What sort of time and resources are required for creating a pre-summit website with materials for attendees? How long would the website stay active? If the FCIL-SIS education summit is not held in conjunction with the AALL Annual Meeting, might it be held in conjunction with another regional association annual meeting? Might such an approach eliminate problems dealing with the coordination of hotels, travel, and facilities? Recently, staff from AALL headquarters in Chicago contacted SIS Chairs in order to encourage SISs to promote subject-oriented webinars, to be coordinated with AALL headquarters so that costs are kept to a minimum. The FCIL-SIS Chair discussed this proposal with the SPC, which hopes to get more information from AALL headquarters on this remote-access version of Continuing Law Librarian Education (CLLE), and to make this information available to the wider FCIL-SIS membership. The Strategic Plan Committee, consisting of Molly Brownfield (Chair), Vicenç Feliú, Gabriela Femenia, Don Ford, Teresa Stanton and Jean Wenger, prepared the 2012-2014 Strategic Plan with input from the SIS membership, including the Executive Committee.The Committee gratefully acknowledges the contributions and hard work of earlier Strategic Planning Committees and the involvement of FCIL-SIS members in this important planning process. Goal 1: Actively promote education in Foreign, Comparative and International Law and Law Librarianship for specialists and non-specialists. Capitalize on FCIL-SIS member presence in other associations (ASIL, IALL, ALLA, SLA, AALS, bar associations, etc.) to raise national and international recognition of FCIL and to develop educational opportunities throughout the year. 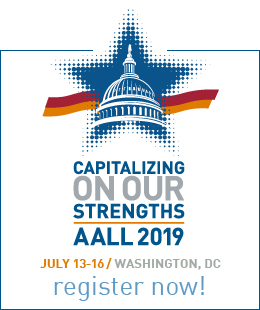 Increase participation opportunities for foreign members in AALL through both in-person and online interactions. Continue to offer the FCIL Schaffer Grant for Foreign Law Librarians and enhance promotion of the grant by having recipients submit account of their annual meeting experience to AALL Spectrum. Expand the marketing of all FCIL-SIS educational efforts and increase outreach to both FCIL and non-FCIL members of AALL. Analytical Report of Current Website: Use Google Analytics to analyze the current website. See who comes, what they do, where/when they leave. Also, check with current webmasters to see if there are analytical reports since the last redesign. Web Site Maintenance: Strategize about web site maintenance needs of the redesigned website. Discuss skill sets required for a two person web maintenance team and what tools these people should try to access, possibly through their employers (for example, institutional access to the webinars on the Lynda.com website). ROT Analysis (Redundant, Outdated, or Trivial Items): Discuss items on the current website that might be redundant or outdated (trivial items are probably not an issue). Contact any FCIL-SIS members with webpages, syllabi, exercises, or Power Point presentations, and ask if the current postings should be maintained. Site Map Redesign and Tagging: Do an initial site map and tagging analysis. Use the Google keyword tool to analyze search optimization; meta-keywords; meta-descriptions; keywords to help with content indexing and tracking. FCIL-SIS Blog: Discuss whether to have regularly assigned bloggers. Some blogs have various people blogging on specific days of the week, with occasional guest bloggers. Keep the top bar logo with map and extend the bar to full size along the top of the screen. Adapt current homepage default size to current screen usage (at 100% screen size, the homepage display is small and hard to navigate). Use the Swedish Parliament’s Translated Legislation webpage as a model for the revised FCIL-SIS webpage. Some of the grayscale used on the Swedish Parliament’s webpage is easy on the eyes (look at the grayscale in most of the boxes and in the header). We should consider lightening the headline and navigation back bars’ shading on our own website. We suggest having an FCIL wiki with restricted administration rights. Suggested resources could be emailed to the administrator(s). This wiki is inspired by FCIL-SIS member Marylin Raisch’s 40+ page collection of legal resource links. We hope the wiki becomes a clearinghouse for websites produced pursuant to the world-wide trend toward open access to legal resources. The SPC might include a discussion of resource redundancy (i.e., having multiple resource access points on the webpage) as part of the webpage revision process. FCIL-SIS member-oriented resources should continue as they are on the website. The SPC should discuss the feasibility/advisability of these parts of the website being user name and password protected. Example: Course materials such as syllabi, Power Point slides, and exercises being accessible only to AALL members. The Strategic Plan Committee, consisting of Dan Wade, Barb Garavaglia, Carolyn McKelvey, Victor Essien, Molly Brownfield, and Mary Rumsey, prepared the 2007-2010 Strategic Plan with input from the SIS membership, including the Executive Committee. Goal 1: Promote Education in Foreign, Comparative and International Law for Specialists and Non-Specialists. Ken Rudolf, FCIL SIS Chair, formed the Strategic Planning Committee to draft a strategic plan providing for revitalization of the SIS and a renewed course of action for the future. The Committee of Jean Davis, Jolande Goldberg, Mary Rumsey, Dan Wade and Jean Wenger, Committee Chair collaborated extensively by email and met twice during the American Society of International Law Annual Meeting in Washington, DC in April. The Committee greatly benefited from the work of earlier FCIL SIS Strategic Planning Committees dating back to 1998. The FCIL SIS Strategic Planning for Continuing Education and Professional Development (Draft document, July 2, 1999), the meeting notes of the October 27, 2000 FCIL SIS strategic planning meeting (New York City) and the responses to the March 1, 2001 survey formed the core resources relied upon by the Committee. The Committee viewed a three-year plan as a manageable time frame to accomplish the goals presented and to permit the SIS to plan in a quickly changing environment. Three goals were targeted that were believed to be fundamental to the mission of the SIS and that would serve as a foundation for revitalizing the SIS. Strategic planning is a vital tool necessary to advance the needs, interests and skills of the members. In order to continue the critical process of planning, implementation, and evaluation, the 2002-2003 FCIL SIS Strategic Planning Committee proposes that the Executive Committee create a standing Strategic Planning Committee. The Committee gratefully acknowledges the contributions and hard work of earlier Strategic Planning Committees and the involvement of FCIL SIS members in this important planning process. Rationale: “The object of the Foreign, Comparative and International Law Section shall be to provide a forum for the exchange of ideas and information of foreign, comparative and international law….” (By-laws, Art. II, Section 1) This goal is our very raison dêtre. It is the purpose of the SIS to provide information and skills in foreign, comparative and international law to those who provide assistance to the library patrons who access this law. This goal intends to encompass the educational needs of the entire range of professional experience, from the new librarian to the most senior specialist. Identify educational needs of FCIL SIS members through surveys, questionnaires and/or listserv. will aid the comparatively small SIS Executive Committee in accomplishing its goals. A more active and involved membership enriches the educational and professional experience of all FCIL SIS members. Rationale: Enhancing the position of FCIL SIS will improve the SIS’s ability to represent members’ interests and concerns within AALL. While SIS members share many interests with other AALL members, our work generates unique issues. To ensure that AALL recognizes our concerns and works with the SIS to meet our needs, we must work to make the FCIL SIS a highly visible force within the larger organization.